by Beatrice Masini | Literature & Fiction | This book has not been rated. I bought this from the Herriot Hospice Homecare charity shop in Thirsk this morning. I don't know why. 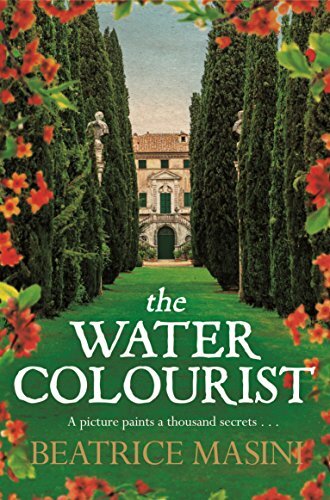 Something about the cover appealed, I guess . . . .
From Google Overview: "A young woman arrives at a beautiful villa in the countryside outside Milan. Bianca, a gifted young watercolourist, has been commissioned to illustrate the plants in the magnificent grounds. Bianca settles into her grand new home, invited into the heart of the family by the eccentric poet Don Titta, his five children, his elegant and delicate wife and powerful, controlling mother. As the seasons pass, the young watercolourist develops her art - inspired by the landscape around her - and attracts many admirers. And while most of the household's servants view her with envy, she soon develops a special affection for one housemaid, who, she is intrigued to learn, has mysterious origins . . . But as Bianca's determination to unlock the secrets of the villa grows, she little notices the dangers that lie all around her. Who is the mysterious woman she has glimpsed in the gardens? What could Don Titta and his friends be whispering about so furtively? And while Bianca watches so carefully for clues, who is watching her? Set against the intoxicating background of an Italy on the cusp of change, a young woman's na ve curiosity will take her far into the territory of hidden secrets, of untold truth and of love." Very good, I really enjoyed this strange tale set in early 19th century Spain.